When Does Save The World Become Free? 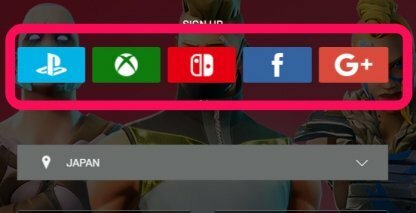 Read this guide for info on how to enable Fortnite's cross platform and crossplay feature, and account lock-out between PC, Mac, XBox One, PS4, Nintendo Switch, and mobile (iOS and Android)! Check Out Fortnite Beginner Basics! Cross-platform play is a Fortnite feature that allows players to battle against each other across multiple platforms - be it on desktop, console, or mobile! The PC is able to cross play with other consoles and devices without restriction. PS4 players will be able to cross play with PC players and other console players (both PS4 and Xbox One). Xbox players are able to cross play with PC, other Xbox 1 players, and Playstation 4 players. The Nintendo Switch will be able to cross play with desktop players, Nintendo Switch, and mobile (iOS & Android) platforms. Both iOS and Android users will be able to cross play with PC, Switch, and mobile (iOS & Android) platforms. Fortnite Save The World is available to crossplay with PC, MAC, PS4, and XBOX. Check Out Save The World Here! To enable cross-platform, first create an Epic Games account. This is the key to unlocking all platforms you can play Fortnite in! Check Out How To Create An Epic Account! After creating an account, you can link it to other platforms! We recommend to choose only one for console platforms like the PS4, XBox One, & Nintendo Switch as there is account lock-out! For PC & Mobile users, no need to link a separate account, just sign in using your Epic Games account details. For PS4, XBox One, and Nintendo Switch, the Epic Games Launcher needs to be downloaded on PC or Mac. Users must choose the appropriate platform to sign into. 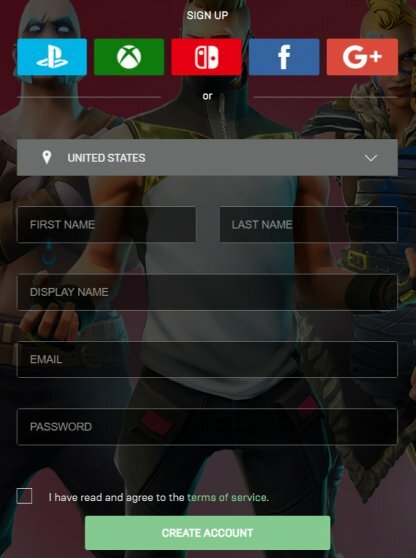 Link your Epic Games account with your chosen platform's specific account and authorize connection! There is an account lock-out when you link your Epic Games account to one console platform. For example, if you connected your Epic Games account on your Nintendo Switch, you need to create another Epic Games account to connect to your PSN. NOTE: Lock-outs between PS4 & XBox One and XBox One & Nintendo Switch have yet to be confirmed. You can add friends up using their Display Name or E-Mail Address. This can be accessed via the Epic Games Launcher or in-game. 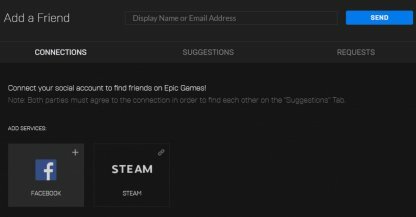 You can also connect to friends who are playing in Fortnite through other platforms such as Facebook or Steam. Services may differ depending on player's location. Another way to add friends is to send them your Friend Link! Check Out How To Add Friends! After adding your friends, check who's online and invite them to squad up! Double check privacy settings on your platform and set them to public or can be seen by friends. You can see which platform your friend is playing on via the icon next to their Display Name. 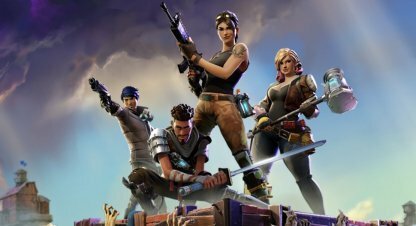 Fortnite will only match make you with cross-platform players if you are in a cross-platform party. 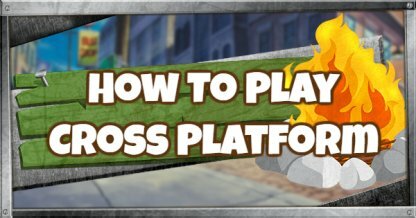 Want to play cross-platform matches? 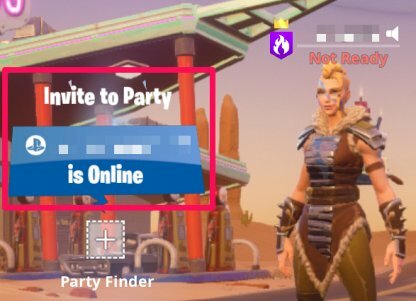 Create a party with friends who are NOT on the platform you are currently playing on. How to disable cross play? If you don't want to play a cross-platform match, simply don't party with friends on other platforms. Cross-platform play also doesn't affect solo mode for PC as this just pits you against other PC players. Fortnite allows you to play across multiple platforms. There are account lock-outs between PS4 and Nintendo Switch but lock-outs between PS4 & XBox One and XBox One & Nintendo Switch have yet to be confirmed. Also, keep in mind that you ! Once you have linked the right accounts together, you will still have access to all your current progress & items! Check Out All Skins List! Match statistics and leaderboard scores are not shared across platforms. So you will see different statistics and leaderboard scores per platform. Check Out Tips & Tricks To Win! Voice Chat is enabled across all platforms so you can communicate & work together efficiently to get that Victory Royale! There might be issues with PS4 voice chat with other platforms but have yet to be confirmed/tested. Check Out How To Set Up Voice Chat! From time to time, players on certain platforms can receive freebies via exclusive offers. These are usually cosmetic items such as Outfits/Skins, Back Bling, Gliders, etc. Note: More offers to come!